A couple of easy ways to lose data is when your hard drive fails or when your computer becomes infected with a virus or malware. If your computer has saved the date then, there is a good chance that iTech Xpress can recover it for you. We provide IT services to people and businesses in Los Angeles County and the community of Glendora. They say information is money and for local Charter Oak businesses data is money. We know what it feels like when something crashes and takes all of your hard work with it. It is a horrible feeling when it feels like all is lost, but we can help. We offer data recovery services in addition to our high-quality computer repair and upgrade services. If you have lost critical data or personal data due to the crash of your hard drive then call us. We can often recover data if your hard drive has had a physical breakdown or when there has been a logical breach in the software. Virus and malware are common causes of logical data loss. A drive that has physically failed may still contain 100% of the data that was stored on it, the problem may be an external part that is repairable. 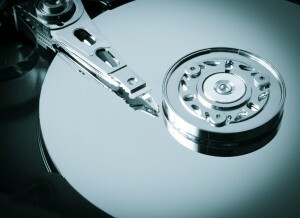 In addition to data recovery, we can set up your system to back up data automatically. You can back data up to external storage devices such as an external hard drive or thumb drive. One of the common problems we encounter is flash drive failure. If you have a flash drive that has failed, we might be able to recover the data that you have stored there. It is not always a guarantee that data will be recoverable, but odds are at least some of the data is still good. This is why we are keen on recommending automatic backup protocols for data and media files. The most complex data to recover is from a RAID system. We have experience dealing with RAID systems and failures. If you have experienced a data loss and would like more information about the possibility of recovering the lost data, call us or stop by our store. We offer same day service, and our products and services are guaranteed.